CRAPTASTIC: Shabby Chic Baby Rocker! A few months ago my cousins had their first baby! She is PRECIOUS and is the first baby of the grandchildren on my Mom's side of the family. I had planned on refinishing this sweet rocker for her baby shower, but life kept getting in the way. I finally got it finished for Christmas! I tightened up some of the wobbly areas and filled in some of the holes. 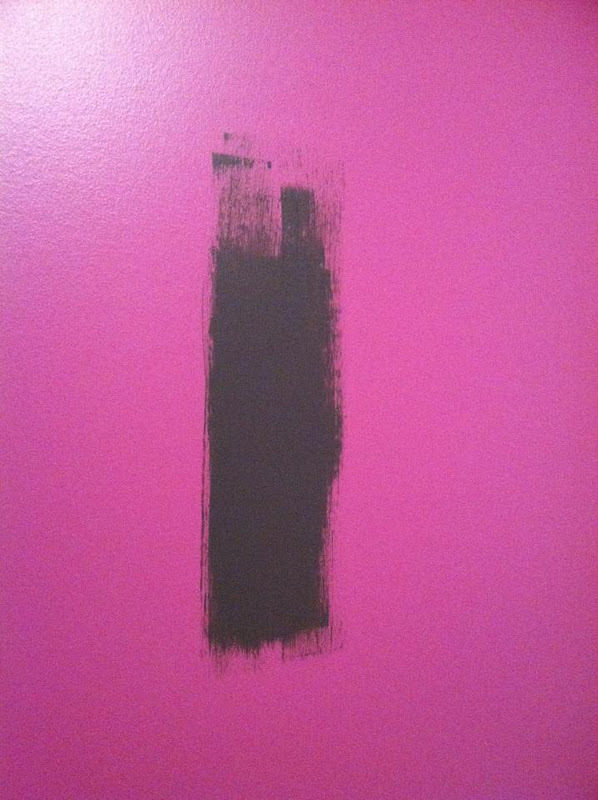 Her room is light gray, light pink, and white. So I primed the chair in gray so it would show through when I distressed. I then painted it white and softly distressed it. I was a bad blogger and only snapped one poor quality photo. It turned out so cute though! 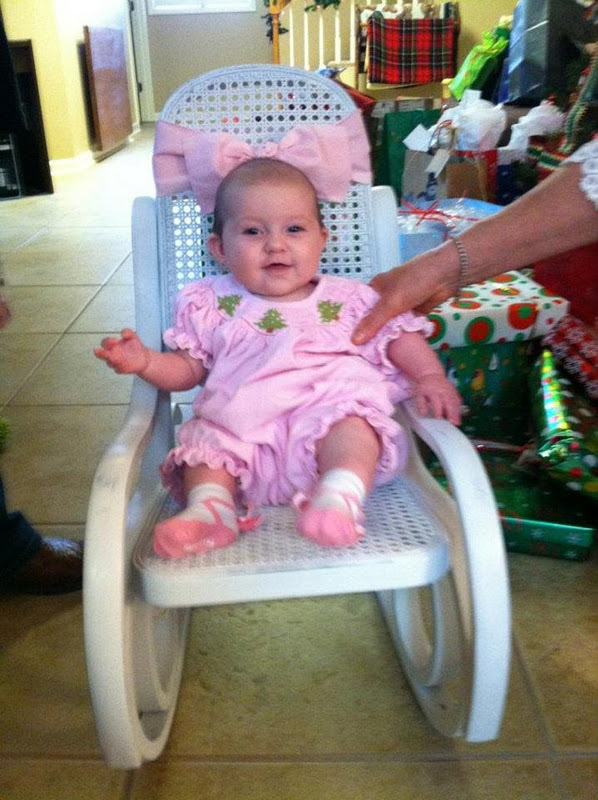 Here is my sweet cousins' baby girl sitting in her new rocker on Christmas morning! She is possibly one of the best babys I have ever met. She never fussed no matter how much we passed her around. We were all fighting over who got to hold her! Also, I'm about to begin a big makeover in my current office and make it not only more suitable for crafting, but more grown up looking. I'm majorly obsessed with gray right now, so this is a sneak peek at my new craft room color! You did a good job on the rocker. I think all little girls need a rocking chair. oh how cute is that?!?! so so sweet! If you think a little squeak in a chair won't bother you, that opinion might change when baby is unable to fall asleep for the noise, and you've had to listen to that same squeak over and over again every night. I love the Thonet style child's rocker. I bought one exactly like that, or at least very close to it, at a consignment sale. I couldn't find a manufacturing mark on it so I am pretty sure it is a repro, which means I can do a makeover on it and put it in my daughter's room. With your photo I can see what it might look like when it is finished. Thanks. iRobot has earned its place as one of the leading and award-winning companies in the Vacuum industry. The main objective of designing such robots by iRobot is to make life as easy as it can get for individuals all around the world.